A CONVICTED COLORADO robber who was sent back to prison after being mistakenly released decades before serving his 98-year sentence asked a judge to set him free again, arguing it would be unfair for him to remain imprisoned after he started a family, got a steady job and reformed himself. Lima-Marin was released on parole in 2008. He held a steady job as a window glazer, got married and had a son before authorities realised the mistake in January 2014, when a team of police officers returned him to prison to complete his sentence. First Assistant Attorney General James Quinn said the case was an unfortunate mistake but not official misconduct, as Lima-Marin’s lawyers allege. Judge Carlos A Samour Jr did not immediately decide whether Lima-Marin should be released, saying he needed time to do more legal research. 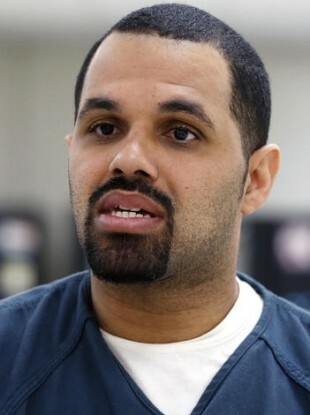 He got the case after Colorado’s highest court refused to free Lima-Marin earlier this year, saying he should ask a lower court to consider his release instead. But prosecutors said Lima-Marin should not be freed because knew about the clerk’s error and never notified authorities as he set about rebuilding his life. Email “Convicted criminal released 90 years early pleads to be allowed stay free ”. Feedback on “Convicted criminal released 90 years early pleads to be allowed stay free ”.